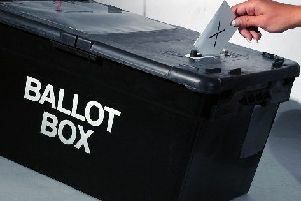 Local MP Brendan O'Hara has pledged to vote against constituency changes. Argyll & Bute MP, Brendan O’Hara has pledged to vote against proposals to cut Scotland’s elected representatives at Westminster from 59 to 53, should it come before Parliament. The proposal, put forward by the Boundary Commission, would cut the number of Highland and Island MPs from four to just three and extends the current Argyll & Bute boundary north to take in Fort William, increasing the size of the constituency by almost a third. The proposed new constituency of Argyll, Bute and South West Highlands will cover 9,917 km2 of the west of Scotland and will stretch from Campbeltown in the south to Fort William in the north, and from Cardross in the east to Tiree in the West. It will also include a huge number of communities of varying sizes based on 23 islands. Mr O’Hara accused the Boundary Commission of playing a “crude numbers game”. He continued: “In their desire to try and equalise the size of each UK constituency by population, they seem to have taken no notice of the history, geography or topography of this part of Scotland. And I am very disappointed in this proposal. The people of Argyll, Bute and South West Highlands deserve better than this. “The three largest constituencies - Highland North, Argyll Bute and South Highland and Highland Central - would cover a landmass of 33,282 km2, equivalent to 42.5 per cent of the whole of Scotland. “This is equivalent to a landmass larger than Belgium. Mr O’Hara said that for an area almost half of Scotland to be represented by only three MPs is a “democratic outrage” while the unelected upper chamber of the House of Lords continues to increase, currently standing at around 800. He added: “For the mainland Highlands area, a geography one and a half times the size of Wales to be cut to just two constituencies is astonishing. “The UK government is in chaos as we continue to weather the unwelcome storm of Brexit. There is no appetite for these proposals.